No more asking for an extra cable. 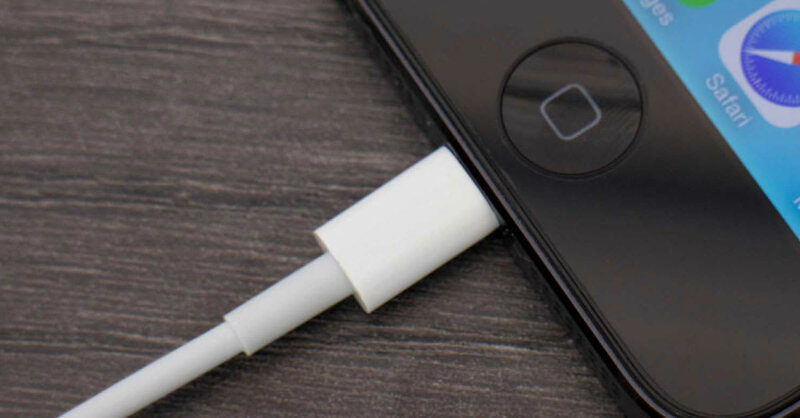 While Android users enjoy the benefit of having an abundant supply of micro USB cables available everywhere, Apple devices are limited to only lightning cables. Its price tag comes at a cost, and this can result in users wearing out their cables too quickly. Moreover, carrying the same cable everywhere can be worrisome due to the risk of displacement. We hear you. Fret no more as you choose one (or two) of these cables as your backup! Here’s an innovative cable with HDMI attachment to help you connect your iPhone to the television. It is compatible to use with iPhone 5, 6, and 7 series. Plug the cable in, and it will synchronise in a matter of seconds. No more fuss when you want to play multimedia from your iPhone! No more frayed iPhone cables. This is a premium and extra-strong USB cable designed for long-term usage. The cable features a thicker copper wire which is wrapped in tightly woven nylon braid sleeve. Not only does the thick copper wire enhances the charging speed, but it also helps with efficient energy saving. The cable can also withstand continuous bending and rigorous stress than your regular lightning cable. Affordable and hi-tech, this LED design proves to be much more than the average lightning cable. Simple and functional, it lights up to prompt the charging status. The lightning cable delivers transmission as fast as the original Apple lightning cable. It is compatible with all devices utilising Apple lightning ports. Need a USB plug adapter with your cable? This is the pair you’ll need. Compatible with all Apple series, it’s a great charger set to bring on a trip. Compact and sleek, charge up your devices in no time with its 12W powered adapter. For those who are still using older Apple models such as iPhone 3GS/4S, this 30-pin lightning to USB cable will assist in connecting and charging your device. Coming with a 5W 3-pin power adapter, the cable supports analogue and USB output, enabling you to charge your devices and connect without a hassle. Charge your phone while listening to music with this Lightning to Female 3.5mm audio aux cable. Save time and increase proficiency while being entertained. This lightning cable allows you to connect your headphones to any of your iPhone or iPad products without any issue. This is an affordable ingenious way to help you connect your different Apple devices at the same time. A 2-in-1 lightning cable to help you find compatibility with a standard or micro USB port, it supports charging speed of up to 1.5A. While you could attach this cable to any iPhone 5, 6 and 7 phone series, it is also suited for Android devices with smaller USB connectors.